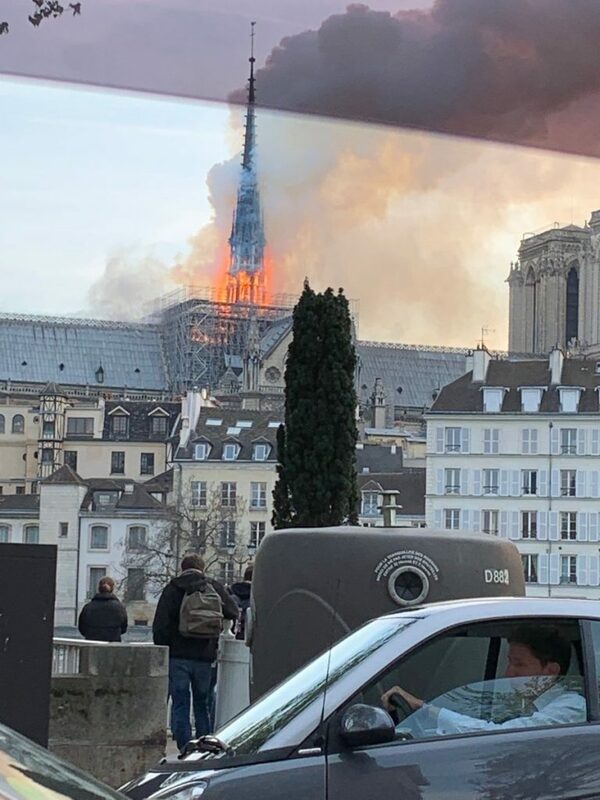 Notre Dame on Fire in Paris. 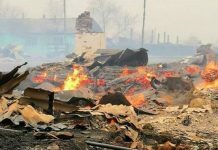 Home › Forums › This is AWFUL! 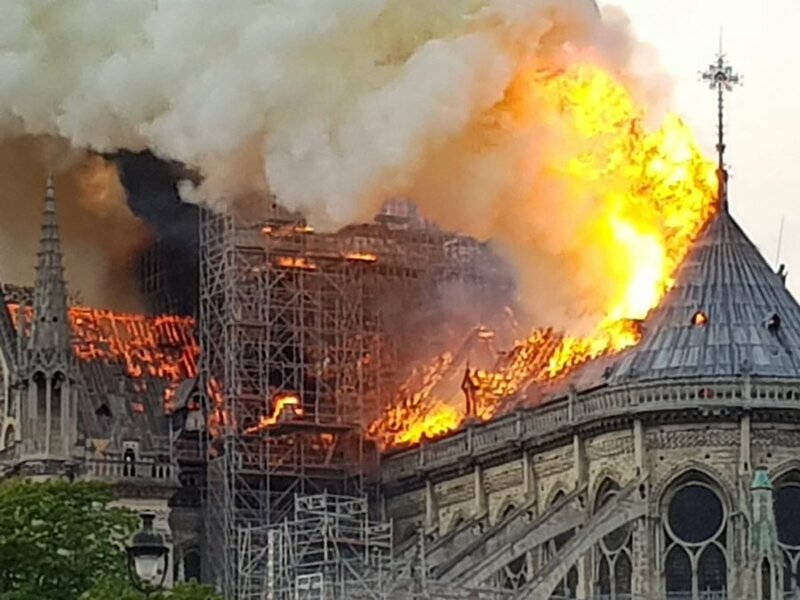 Notre Dame de Paris is on FIRE and burns down! This topic contains 6 replies, has 3 voices, and was last updated by Devils Tower 5 days, 15 hours ago. 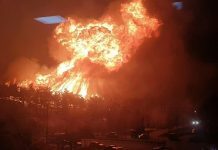 The landmark of Satan Worshiping church has be burning down. I don’t know how many children have been sacrificed in this place for centuries. 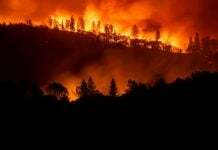 I am sure that Reptilian Secret Underground city just under this Satan church is also burning, now. There is a secret underground Paris just under Paris. The underground Paris has huge population of cannibal Reptilians eating human children for thousands of years. Nothing terrible about that. It just signals the end of the christian/Roman era. Firefighters search for survivors after two illegally constructed buildings collapsed in Rio de Janeiro. haha……..jupiter in gandanta……it’s not over for weeks. there will be floods and blood too. Picture of I pet goat II prediction and Notre Dame Spire for comparison…. Reply To: This is AWFUL! 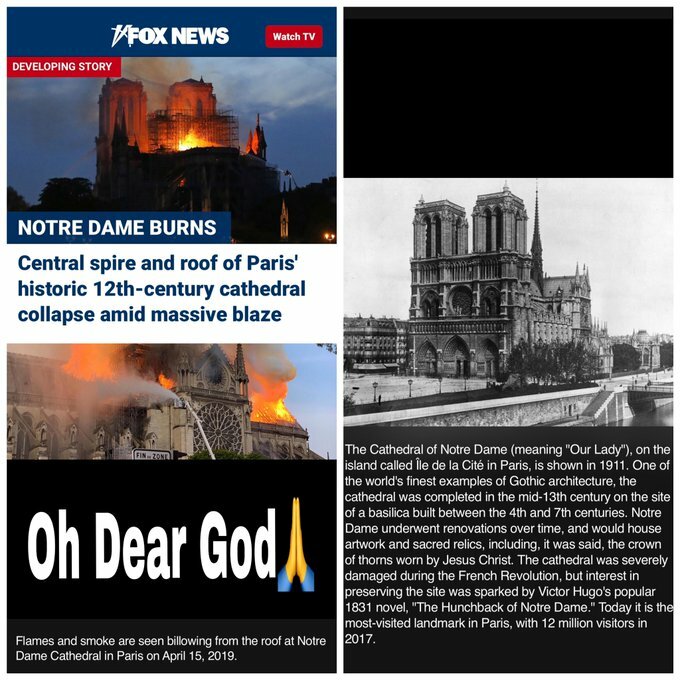 Notre Dame de Paris is on FIRE and burns down!